Mr. Tate’s class is visiting Sunnyside Beach on Beach Clean-Up Day. A local sailor, Captain Ned, tries to take care of the ocean, but he is going to need the help of the class. The beach is littered with a variety of trash. He explains that the sea is sad. His words met with skepticism by the class, Captain Ned encourages them to listen to the sea. What they hear is a counting of ten different animals who call this habitat home. For example, students hear from three marlins and four sea horses. After hearing from ten bottle nose dolphins, Captain Ned leads the class to think about why pollution is bad is bad for the ocean and for humans. The food chain is interrupted when pollution destroys phytoplankton. This means less food for fish that feed on this producer. Crabs and starfish are just some of the animals that have to fight against the tide of man-made trash that invades their home. Besides providing food for bigger living things, phytoplankton is also a producer of oxygen. Less phytoplankton, less clean air. Captain Ned’s lesson prompts Mr. Tate’s class to count the bags of garbage that they collect. These Seas Count! 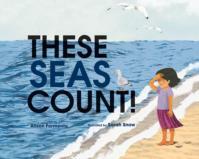 is more than a counting book. It’s a tale of why our seas are important and why they are worth saving. Preschool and kindergarten students who would be interested in a counting book also have a basic understanding of why pollution is bad for the environment. More than likely they can’t pronounce phytoplankton, but they will understand why plants that provide food and oxygen need to be helped. With attractive collage illustrations, These Seas Count! would be a good addition to an environmental unit. Find this book for reading as part of your upcoming Earth Day celebration as well. The Case of the Sneezy Popcorn: Annie Biotica Solves Respiratory System Disease Crimes is all about readers experiencing the scientific method that medical teams and scientists use to decipher symptoms and lab test results. That’s why we chose to feature this title for STEM Friday this week. What do you get when you combine evil microbes trying to harm the respiratory system and a super detective skilled at body system disease investigations? Enter crime-solving super sleuth, Agent Annie Biotica! A brief description of the respiratory system, supported by a labeled diagram, is followed by five individual cases regarding strep throat, hantavirus, whooping cough, pneumonia, and cold and flu. Readers follow Agent Annie Biotica as she uses logic and the scientific method to solve each case. She searches for clues, identifies microbe suspects, gathers evidence, makes a verdict, and finally she treats the patient accordingly. An added feature is that there are three more cases at the end of the book that readers can try to solve on their own using the methods featured in the previous chapters. 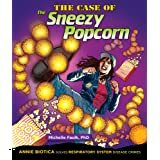 The Case of the Sneezy Popcorn is just one of the six books in our “Body System Disease Investigations” series written by Michelle Faulk, PhD. Each book in this series covers life science, body systems, and health in a unique way while supporting the science curriculum. Graphic-style illustrations and character, Annie Biotica, make this series fun and engaging while presenting content that students will find relevant to their own lives. The Crime: Not having enough engaging STEM books to share with students. Clues: Some children appear bored. Others are sleeping at their desks. Suspects: Old, boring science lessons. Evidence: Doodling on science notebook covers. Loud snoring. Verdict: Students need fun and engaging STEM books. Treatment: Body System Disease Investigation books! About the author: Michelle Faulk has a PhD in virology and microbiology from the University of Pittsburgh School of Medicine. She has worked as a medical researcher, teacher, and editor, and is currently an author. 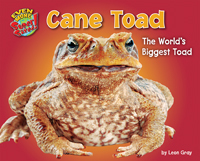 Copyright © 2013 Enslow Publishers, Inc. All Rights Reserved. Categories: STEM Friday round-up | Tags: Body System Disease Investigations, body systems, Enslow Publishers, health, life science, nonfiction books, science curriculum, STEM Friday, The Case of the Sneezing Popcorn | Permalink. 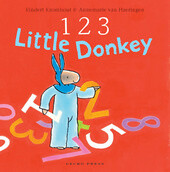 123 Little Donkey by Rindert Kromhout, illustrated by Annemarie van Haeringen, translated by Bill Nagelkerke is the loveliest counting book I’ve come across in a long time. It takes a concept that can be rather well worn and uninspiring and not only encourages genuine engagement with the illustrations, through choosing slightly unusual objects to count, but creates a heartwarming, reassuring and funny story to lead readers and listeners through their numbers. Whilst this a delight for young learners, it’s also refreshing and humerous for the adults sharing this book with the children in their lives. Little Donkey’s determination to snaffle some of the goodies his mother has brought back from her shopping trip provides the starting point for this numerical story; “1 shopping bag” is rummaged through by “2 nosy friends” who find “3 bags of treats”. Mama puts the treats up high out of reach, but Donkey and his friend are not to be put off their plan to secure some sweets. Precarious balancing results in an mishap inducing “9 fat tears” and “10 soft kisses” from the forgiving Mama. Delight, drama, a soupçon of naughtiness, reassuring parental love AND the opportunity to practice your numbers are all bundled up in this charming book from an author and illustrator who have won many awards in their native Netherlands and deserve to be much better known around the world. Also available in the UK, distributed by Bounce, and in New Zealand, where Gecko Press are based. Copyright © 2013 Zoe Toft All Rights Reserved. Celebrating Women in Science, Technology, Engineering and Mathematics,” a perfect theme for a STEM Friday round-up. Today we are going to look at some children’s book biographies of remarkable women who have made significant impacts in the fields of science, technology, engineering and math. Historically women have been under-represented in STEM fields. Reading these biographies, it becomes apparent that early females interested in STEM faced discrimination. They were not allowed to hold jobs, and had their ideas and work stolen by male colleagues. They managed to persevere, however, and make significant discoveries. Their stories are inspiring. Are women in STEM also under-represented in children’s biographies? In preparation for this post, I did a search at Amazon. First, I selected “science” as a keyword. I selected all the titles in children’s books, and then narrowed to biographies. Ranking the results by publication date, I found that between January 1, 2012 and January 1, 2013 there were 54 biographies of famous men in science and technology published and 11 biographies of famous women (I didn’t count collections, only those of individuals). All the more reason to celebrate the books on this list! Look Up! Henrietta Leavitt, Pioneering Woman Astronomer by Robert Burleigh and illustrated by Raul Colon (February 19, 2013), is a picture book biography of the woman who discovered how the brightness of stars had fixed patterns, information that would later be used to measure distances through space. Amazingly, at the time she did her work women weren’t even allowed to use telescopes; she made her observations from photographs. Pick up this book and share it with information about the Pan-STARRS comet this week. 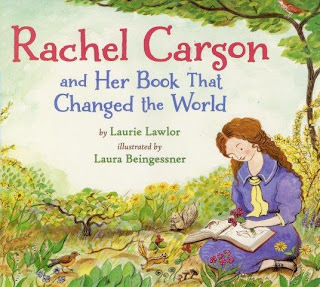 Sue at Archimedes Notebook has featured Rachel Carson and Her Book that Changed the World By Laurie Lawlor and illustrated by Laura Beingessner. Surely Rachel Carson would approve of Sue’s most recent post about checking in with the red tails and her idea to head outside to observe the natural world. 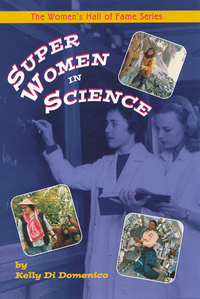 Over at Simply Science, Shirley has shared Super Women in Science by Kelly Di Domenico. She writes that at one time men tried to use science to prove that women were less intelligent based on brain size. Anastasia started the month with Me…Jane by Patrick McDonnell (Author, Illustrator) at Booktalking, a biography of Dr. Jane Goodall. 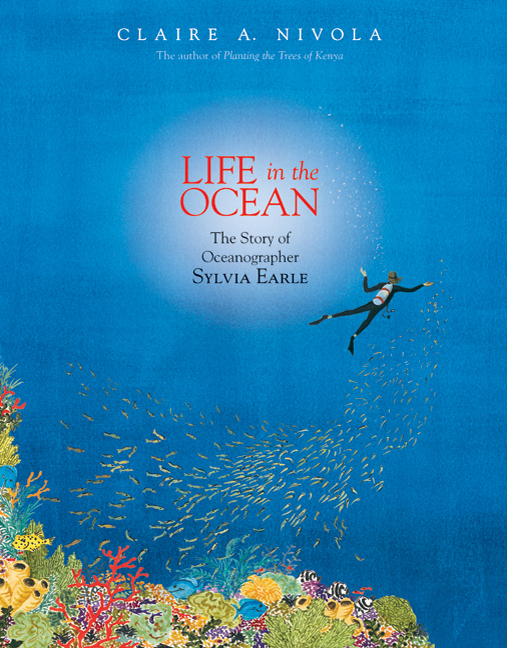 Checking Shelf-employed, we found Lisa had reviewed Claire A. Nivola’s picture book, Life in the Ocean: The Story of Oceanographer Sylvia Earle. Melissa found “A Perfect Pair” of books about women scientists with the fiction title The Evolution of Calpurnia Tate by Jacqueline Kelly and the creative nonfiction title Girls Who Look Under Rocks: The Lives of Six Pioneering Naturalists by Jeannine Atkins at Celebrate Science. 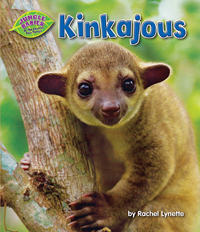 At NC Teacher Stuff, Jeff found another perfect pair, Kinkajous by Rachel Lynette and Cane Toad by Leon Gray. I think the girls who looked under rocks would approve. Looking for subject ideas for a biography about a woman in STEM? Try this fabulous list of Women in STEM from the National Women’s History Project. Categories: STEM Friday round-up | Tags: biographies of women scientists for kids, Women Scientists, Women's History Month | Permalink. On Wednesday, I wrote a post about the pros and (oh, yes!) cons of narrative nonfiction on my personal blog, Celebrate Science. It led to so much discussion on Twitter, that I thought I’d explore my evolving ideas a little more here. So we all know that lately narrative nonfiction is getting a lot of buzz in the kidlit community. Editors look for it. Awards committees honor it. Teachers and librarians buy it. And yet, by and large, kids just don’t seem to be drawn to it. Now there are lots of possible reasons for that, but today I’d like to talk about what kinds of nonfiction school librarians tell me elementary kids do love. They pick it themselves, and they read it enthusiastically. #3 Any book on any topic they are interested in, whether it’s an award-winning book or not. All that matters is the topic—dirt bikes, snowboarding, spiders, dinosaurs, monsters, cars, UFOs, ghosts, swords. These books generally don’t win awards. They aren’t the ones the adult kidlkit community gets excited about. And for the most part, they aren’t the books editors are actively seeking out. Why is that? Frankly, I think the answer has to do with brain chemistry. Yep, I’m serious. Think about it. Most editors and librarians and elementary teachers and kidlit advocates have brains that work in a particular way. They are naturally drawn to the arts and humanities and social sciences. They are right-brain thinkers. But there is a whole different way of interacting with and experiencing the world. Left-brain thinkers are straight-line thinkers–scientists, engineers, mathematicians, and computer programmers. Logic, not emotion, rules in the land of the analytical. Left-brain thinkers love reading and sharing The Guinness Book of World Records and other just-the-facts books because these titles are chockful of what they love best– data. Kids can use the information they gather in these books to learn about the world and its possibilities and their place in it. And that’s what they want more than anything. IMHO, these kids aren’t drawn to narrative (fiction or nonfiction) in the same way that right-brained kids (and adults, such as most book editors and elementary teachers and librarians and kidlit advocates are). They don’t crave an emotional connection with the main character in a novel or a central figure in a biography. They want the data, and then they will interpret it for themselves. But right-brained kids aren’t reading narrative nonfiction. They are perfectly content with novels. And so that leaves narrative nonfiction sitting on a shelf. –creating more books that help them understand the world and its possibilities and their place in it. If we want a strong STEM workforce in the future, we need to meet the needs of curious left-brained thinkers today. Copyright © 2013 Melissa Stewart All Rights Reserved. Categories: STEM Friday round-up | Tags: analytical minds, books for STEM, Left-brain thinkers, Melissa Stewart, narrative nonficiton, Nonfiction, Science, STEM | Permalink.